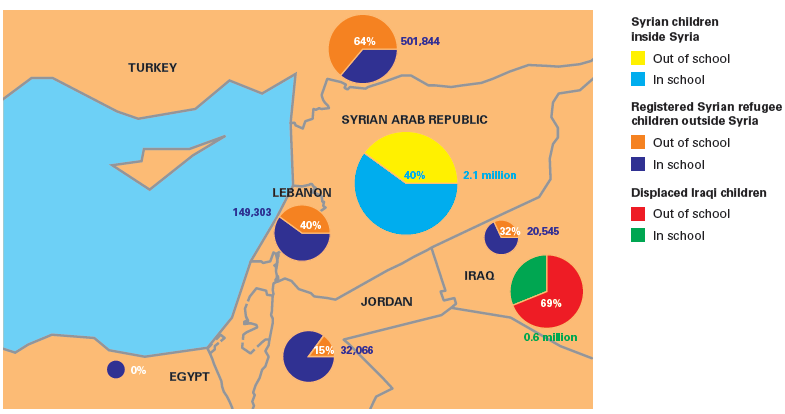 Earlier this year, a report on out-of-school children in Algeria was launched by the MoE and UNICEF. 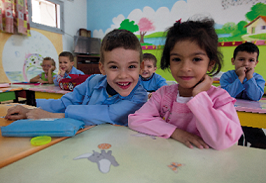 Algeria has made remarkable progress in broadening access to education, with 98% of primary school-age children and close to 95% of lower secondary school-age children in school. Despite this, far too many children are at risk of dropping out of lower secondary school. One fifth of school-age children are at risk of leaving school without reaching the last grade, and the risk is even higher for boys. 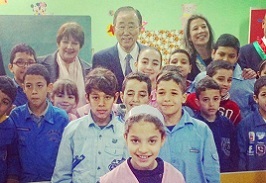 This month, the UNSG Ban Ki-moon visited a primary school in Zeralda, located in the western suburbs of Algiers. In 2012, the school benefited from school furnishing and education teaching materials. The UNSG highlighted the efforts made by Algeria in reaching Millennium Development Goal 2 on achieving universal primary education. He also emphasized the importance of quality teaching and the role of education in reaching the objectives of the new Sustainable Development Goals.